Mercy is a word that seems to be used quite often, and with a multitude of purposes. We often associate this spiritual buzzword with a great act of forgiveness or simply doing what one does not have to do for another person. In 2016, Pope Francis said that, “Mercy is the force that reawakens us, and fills us with hope for the future” and perhaps this was the most authentic meaning imbued on my mission trip to La Valle de Jacmel with Mission Renew. Prior to this mission trip, I had lived in Mexico on mission for a few months and had done mission trips while growing up. Ironically, to say I was “prepared” for Mission Renew 2017 was an understatement, and I left the states with many apprehensions after a long hiatus from missionary work due to medical difficulties. In fact, at first my family members and parents had to be convinced to let me go. Additionally, I was jaded with my Catholic faith and community as well as my relationships, which strained my relationship with God and thwarted my ability to love others well. Due to my most recent circumstances I saw a distance God through the lenses of betrayal. I inaccurately saw him as an impersonal God who was only so reliable and only occasionally would he remember me, and the desires of my heart. It was a long year of going through the moitions and dragging myself to the sacraments often without the appropriate interior disposition of heart. Often times, as Catholics I believe it’s easy to retain things on an intellectual level struggling through religious routine and assuaging our conscience with alms giving or public service. 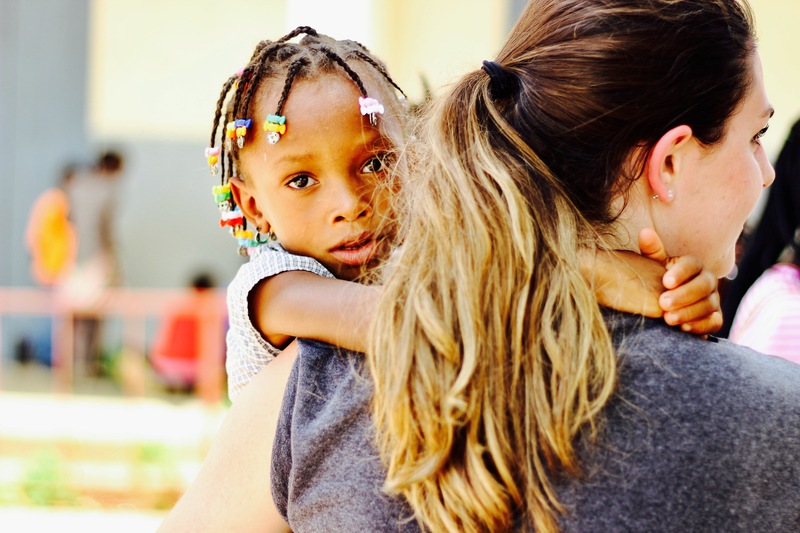 I saw this reality manifest in my own life and became keenly aware of my need for renewal, but more poignantly, as I discovered in Haiti, I was in need of deep mercy…God’s mercy. 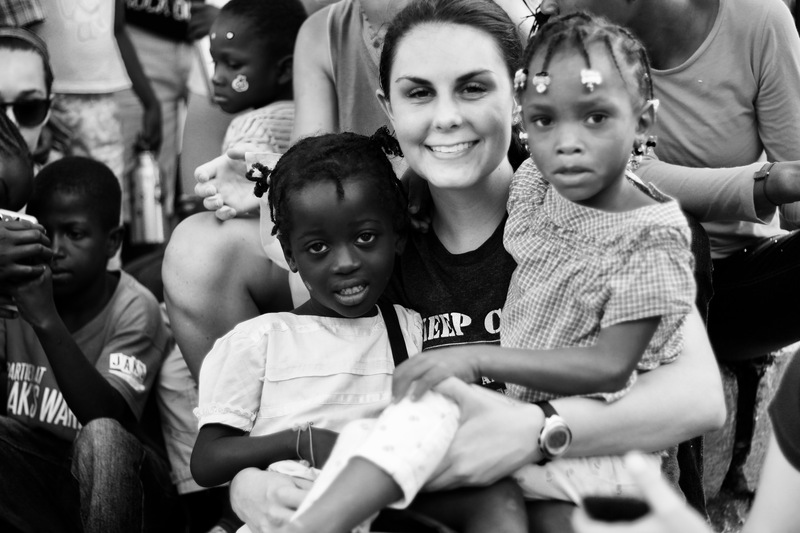 Upon arriving to Haiti, we drove through Port Au Prince in which I was able to see the poverty stricken slums and conditions that the Haitian people where living in. It was surreal and unbelievable. The bus ride was long and no easy feat as we made our way through traffic, through mountains, and into the jungle. Not knowing much about the economic struggles of Haiti or the countries more recent history, I inquired about it to my bus buddy at the time, Deacon Andrew Schumacher. He briefly surmised and added, “Haiti is a country that particularly struggles because as soon as it seems to be getting on its feet something bad will take place.” I could relate and I knew in that moment that Haiti, a country after my own heart, had a lesson to teach me. The following days entailed spending as much time with the kids as possible doing whatever we could to make them feel loved and happy. We played games, did arts and crafts, musical chairs, soccer, hairs and nails, etc. I was initially taken aback by how most of the children were eager to make friends, hang out, hold hands, and be open with us. I was also struck by the apparent freedom these children had. They had freedom to roam about La Vallee without supervision, and with this I realized that the condition of their homes almost certainly created this dubious freedom. I acknowledged that their homes were probably broken and that this lack of care stemmed from the stress and burden of poverty. Often times these children were left alone, raising themselves and their peers or siblings. This epiphany made me conscious of their misery, but also very cognizant of the impact I could have just by my presence and affection. However, being present and affectionate came with a personal burden: I did not feel like I was doing enough. It was with great effort and continuous small undertakings that I had to accept that I was all I had to offer. I couldn’t do very much to fix their life circumstances, I did not have an exorbitant amount of money to give to charity, and despite my little knowledge I could not readily help them with their medical needs. I initially learned this lesson of surrender when a child came to us on one of the first days of the mission trip. He came accompanied by an older companion/ family member. He was extremely tiny and did not look older than two years old. I along with several other missionaries could not get him to speak much less to smile. We gave him bracelets and stickers with no response. I embraced him and his body became rigid. I backed away. My heart ached. I asked myself, “What is this child thinking. How was he here with someone no older than 9 as his only supervisor? Had he eaten? What possible conditions is this child living in?” My mind raced, “What could I do?” I had nothing in that moment. No food, no money. What could I possibly do to bring him some sort of solace? And so I chose only what I could, I stooped down next to him on the broken concrete and held his hand and stayed there. I stayed with him in his misery. Whatever it may have been. Wherever the silence and disengagement came from. The following day the Mission Renew group reflected on the story of Bartimeaus, the gospel of that day and the theme of our mission trip: Lord, I want to see. We discussed this and the true meaning of mercy. Mercy is from the Latin derivatives Miserere + cor+ dare, meaning a heart which gives itself to those in misery. I was struck by the true meaning. I had always thought of it more as an extension of forgiveness. Yet, suddenly I understood it to mean exactly what I had experienced with that dear child. Bartimeus, the blind beggar, had cried out, “Have mercy on me son of David.” Have Mercy on me. The words revolved around in my head like the long awaited answer to a jigsaw puzzle after much mental effort. I had been blind. I had been blind to what Jesus was doing in my most recent circumstances. I had been blind and crying out, but I had been crying out, “Fix the problem. Resolve the issue. Give me this and give me that. Give me some tangible proof that others can see. I want vindication.” Unlike, Bartimeaus I did not cry out for the Lord’s most precious gift, his Mercy. With this realization, I could see. I could see the Lord and His presence in my life and my most recent life circumstances. Although, it is hard to digest human suffering and why the all powerful hand of God does not stoop down to resolve the deepest of wounds, the darkest of tragedies, and the most painful of calamities, I realized that like a good Father He had given me all he had and the best of what He had. He had given me himself, gently stooping down to my level and being with me in my misery. Pope St. John Paul II once said, “Christ is the way, the truth, and the life” (Jn 14:6). Consequently the decisive answer to every one of man’s questions, his religious and moral questions in particular, is given by Jesus Christ, or rather is Jesus Christ himself; ” a statement I have found to be irrevocably true. The Lord, thanks to Mission Renew, has manifested himself in my life more significantly and has been more available to me than I have ever perceived before. I realized that He is a God who is there, a God who answers prayers. Once we accept His Mercy and let Him in, He becomes personal and holds the desires of our hearts. I may not always understand, but through the Lord’s mercy I will always have the answer and Haiti.